Our clothes are for mob and allies alike, here and around the world, sharing the world's oldest culture on one of the world's most popular mediums: t-shirts. We would love your support. We create designs about Aboriginal & Torres Strait Islander culture and history. Our clothes seek to represent the oldest-continuous culture on earth, and our ongoing sovereignty and pride. Sacred Era is about spreading the word on Aboriginal and Torres Strait Islander Culture and history. We create designs that tell the stories our people, with every purchase you will receive the story behind the design. We want you to help us spread the word by wearing our designs and sharing the story with those who comment or show interest. As part of our latest collection of clothes we are shining a light on the contribution of Indigenous veterans, and their rightful place in the ANZAC story. 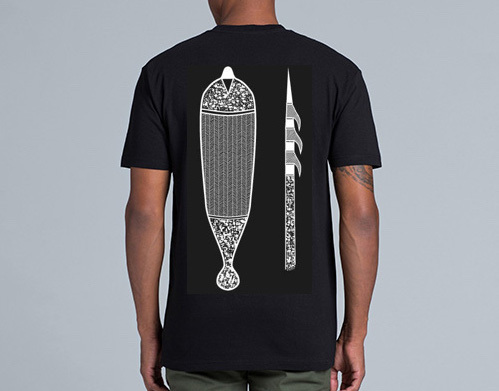 $5 from each sale of this shirt will go to organisations who work with Indigenous veterans. Aboriginal and Torres Strait Islander people have sacrificed their lives in every conflict Australia has been involved in since the Boar War commenced 1899. A remarkable fact considering our people were recognised as flora and fauna until 1967 when we finally became citizens of the nation. In the trenches they were equals, fighting side by side with their non-indigenous comrades but on the home soil they they lived in poverty, were controlled by government policies, and received little to zero recognition for the sacrifices they had made. Today our people continue to enlist to protect our nation, something our people have proudly done since the frontier wars. 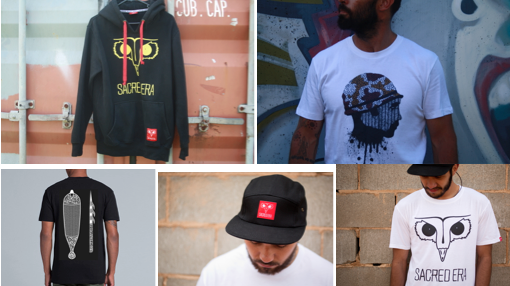 What started out as a way to fund rap workshops for Aboriginal and Torres Strait Islander youth has grown into the idea of changing the way our people and culture is viewed in this country by sharing our culture and history through streetwear. While working with Australian Indigenous Leadership Centre, I delivered a number of cultural awareness sessions to government and non-government organisations. I found that people just didn't know about our history or culture, but when the knowledge was passed on they were shocked about our past and angry that they had never been taught this side of Australian history. Great appreciation and respect was given to Indigenous culture, and in particular the respect, connection, and understanding of the land animals. This is one of two key motivations for creating the Sacred Era Clothing brand. As a younger lad, growing up away from my traditional country and having little access to cultural knowledge and practices, left me questioning at times- I went through self doubt and identity issues. During this time I felt a little lost, me and my other Indigenous friends became the negative stereotypes that our people have been labeled with. It led me on a path to find out as much as I could about my culture and peoples history. The more I learnt, the stronger my self respect and identity became. A lot of my friends have never made it out of the dysfunctional, toxic circles I once walked in. I hope that Sacred Era can prevent other young ones going down the same path. Working with our youth is something I have done for over 20 years, it’s something close to my heart. With no experience of running a business, I started Sacred Era in 2013. The idea was to sell tees online and hand-to-hand at the markets and key events like NAIDOC Week and Survival Day to raise funds to run hip hop workshops for Indigenous youth. The dream was to sell shirts, run hip hop workshops and make beats! Five years later, two entrepreneur accelerator programs later, years of hitting up the markets and a lot of trial and era the brand has grown into a celebration of the oldest living culture in the world. It's a way for our mob to express their pride in their culture and identity, a way for our friends and allies to show their support and appreciation of Indigenous culture and people. 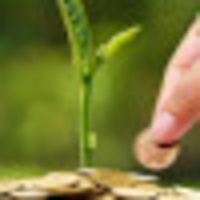 Sacred Era has partnered with AECG groups, AXIS Youth Centre, Belconnen Art Centre, and Ted Noffs - Street Uni to run a number of successful workshops. These are a way to engage with our youth, pass on knowledge, develop skills, and build confidence. Lending an ear along the way, providing advice and guidance on everyday issues. Our workshops have led to performances at number of community events, hip hop gigs, studio recordings, and local fame through local papers and featuring on NITV. 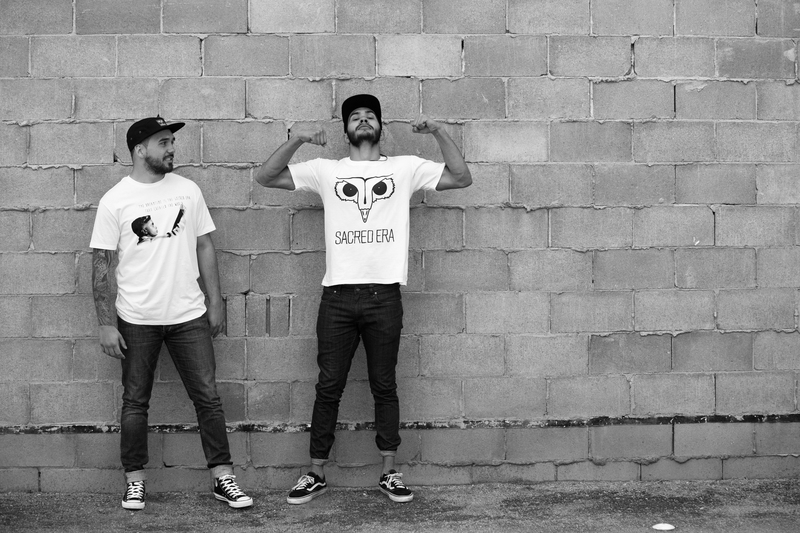 Sacred Era's "BIG DREAM" is to be a leading brand in the streetwear industry. We want to see our designs in stores across the planet sitting next to the hot brands of the day. With this success we can deliver workshops all across the country, and set up creative studios somewhere inspiring and positive for our young ones to hang out, create music and learn about their culture. Our ideal world scenario includes a flagship store in Byron Bay, with in store performances, and monthly events sharing our culture and history with local and international visitors. This campaign is the first step towards turning these dreams into a reality! And with your support, by simply pre-ordering yourself one of our tees and spreading the word with your mates to order them too (we need about 500 orders!!) with your help, we can spread this message like wildfire (the good kind) and make a big ripple for Indigenous Culture on the world stage. Tyson Powell aka "Papuadij" a Wiradjuri and PNG participant in Talk Black, a program Michael in partnership with the Belconnen Art Centre and Ted Noffs Street University. Tyson now works with Street University. I'm a father of four strong kids, and proud Wiradjuri man. My people were rounded up and placed on Bulgandramine mission just outside the small central west country town PEAK HILL where many of my deadly family still live today. Growing up off country, white washed history lessons, and the devastating impacts that British Invasion has had on my culture and people has had a massive impact on my identity growing up. It denied me of my identity. I was always proud to be a Koori but I often felt incomplete. With my fair skin my identity was often challenged outside of my community. This sent me on a journey of learning as much as I could about my culture and people as I could so my identity could never be challenged again. My passion for working with youth started when I was given my first ever job working back in my old high school. The same high school I was forced to leave 1 year earlier. I was basically helping my younger cousins and my mates brothers and sisters to get through school. I'd pick em up, talk to teachers for em and help them with their work. I realised the impact that I could have just being there for them and offering a bit of guidance. Over the years I've been blessed with some amazing opportunities that supported my growth as a person, and provided invaluable lessons on culture and history. I worked for the Australian Institute of Aboriginal & Torres Strait Islander Studies and the National Film & Sound Archive where I had daily access to an amazing wealth of knowledge held in in their Indigenous collections. I travelled to many remote communities, digitised recording of Anthropologist who recorded ceremonies, stories and language of our people in the early days, and helped people affected by the "Stolen Generation" with family history research. I worked for schools, employment agencies and most recently the Australian Indigenous Leadership centre writing training and assessment tools and delivering and assessing accredited training. I was a volunteer radio presenter for 3 years on Canberras 2xx Radio's Sovereign Voices. For the same 3 years I volunteered for Gugan Gulwans Aboriginal Youth Centres Young Mens program. My opportunities travelling with Lloyd McDermott Rugby Development team showed me how it felt to be in a positive and supported environment with other young Indigenous lads. I'm not sure if Tom Evan's realises the impact the opportunities he gave me has meant. I won a Deadly Award in 2013 with my brother (in-law) Nathan Carter as 1 half of Indigenous hip hop act Stik N Move and have been performing, creating music and delivering hip hop workshops for a number of years. Looking back it at my journey it seems like everything I have done were all stepping stones towards Sacred Era. I strongly believe this is what I'm meant to be doing, this is my contribution to our people and making the world a better place. Support our crowdfunding campaign to grow this Indigenous-owned social enterprise, and strengthen Aboriginal pride by grabbing a dope shirt for yourself and your friends!!! The owl has been chosen to represent this brand because of its significance to Wiradjuri founder Wizz, and his people. 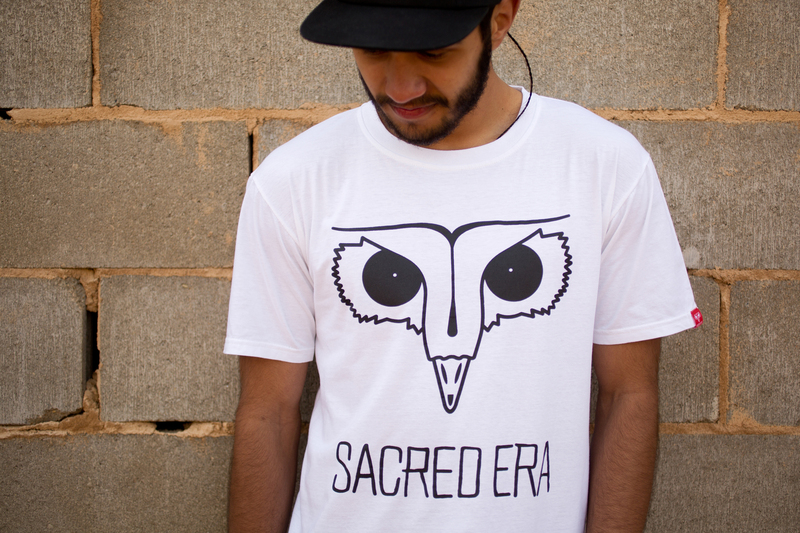 "Sacred Era" was chosen as the brand is essentially about sharing stories, and ties in with Aboriginal beginnings of the Dreamtime/Dreaming - A Sacred Era in which the world was created. SURVIVAL tee highlights the resilience of our people and the key events and periods of time that we have lived through. Acnowledging the long and proud history of Aboriginal and Torres Strait Islander commitment to defending their country. Get Wizz in your community running a 3 day hip hop workshop for local youth touching on culture, leadership and building confidence. Deadly Award Winning artist WIZZ, has been writing and performing songs many years. 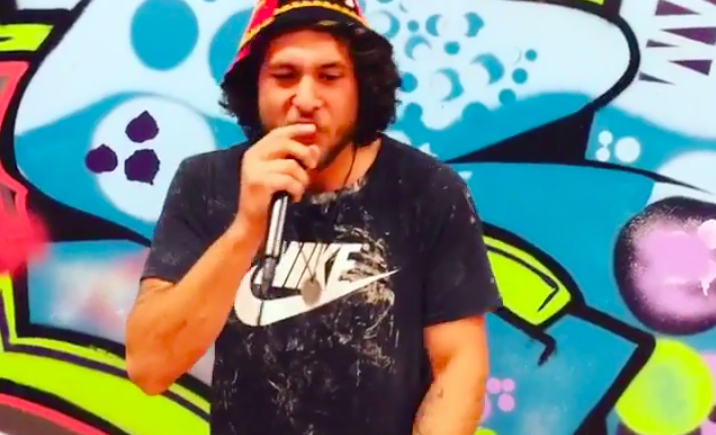 He has opened for international and local touring artists, was invited to interpret both the Indigenous and colonial exhibitions at the National Gallary Australia, and has had his music aired on tripple J and other local radio stations. Wizz started painting back in highschool and has continued to express himself creatively for many years. This is a rare opportunity, despite creating many pieces this will become the 2nd piece he has ever parted with due to the sentimental connection to the stories he creates. 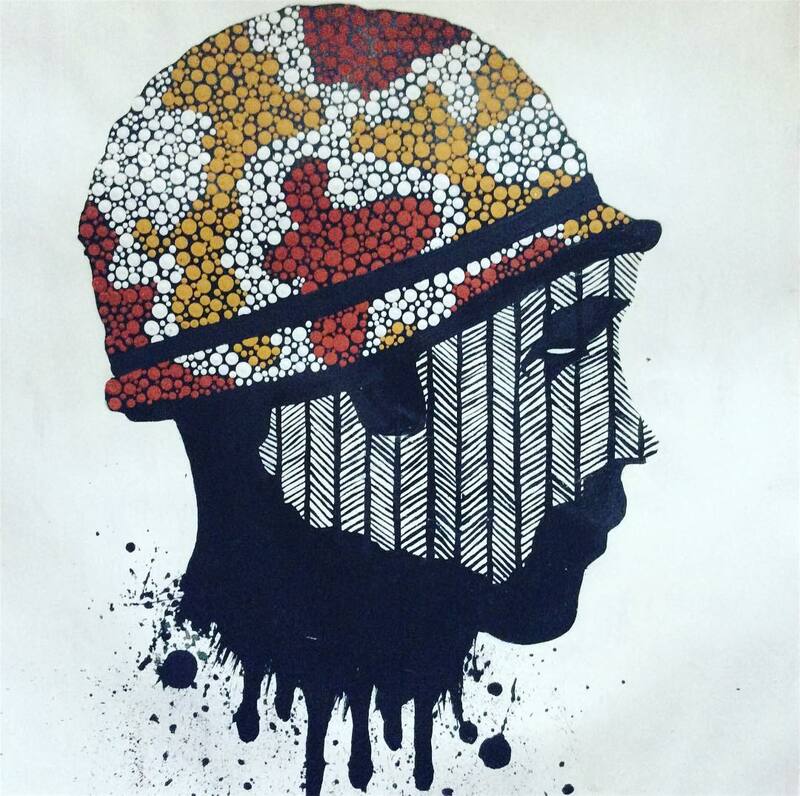 This piece acknowledges the long and proud history that Aboriginal and Torres Strait Islander people have fighting for their nation, but also honours the memory of Aboriginal Gunner Percy Suey who spent 3 years a prisoner of war after being capture by the Japanese during WWII. We are shining a light on the contribution of Indigenous veterans, and their rightful place in the ANZAC story. $5 from each sale of this shirt will go to organisations who work with Indigenous veterans. Getting stocked in stores will allow us to reach a larger audience and have a greater impact. To do this Sacred Era needs financial support to take the brand to the next level releasing our first ever collection and covering associated costs from producing designs, manufacturing, marketing - including look books, product shots etc. This will allow us pitch a professional polished product to potential stockists. Of course it also covers the cost of producing and and sending you all the dope t-shirts and other rewards, and the money we will donate to Legacy, from the sales of each Indigenous Veteran t-shirt or canvas tote bag. Big picture goal is to take the brand to the United States and pitch to potential stockists. California alone has a greater population then Australia, the more sales the more impact we can have back home by setting up local hop hop workshops and studios across the nation. If you run a shop in Australia, NZ, Canada or the US and would like to stock us please get in touch! You could give us a try by purchasing our retail package and we'll send you a mix of 20 shirts at a great price. Thanks for supporting Sacred Era. We'll add your name to the honour roll on our website as thanks for contributing to launching the new collection. Thanks for supporting Sacred Era. We'll send you a Sacred Era lanyard and sticker in the mail and add your name to the honour roll on our website as thanks for contributing to launching the new collection. Australia Wide Postage Included. International shipping not available. Limited Edition BLACK ANZAC Canvas bag. We'll send it to you in the mail and add your name to the honour roll on our website as thanks for contributing to launching the new collection. Postage included in Australia. 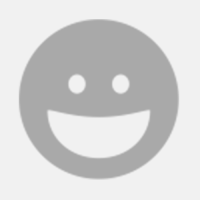 Overseas customers, please manually add $15 AUD to your donation to cover international postage. Thanks for supporting Sacred Era. Choose between a Sacred Era SURVIVAL or BLACK ANZACS tee and save $20!! We'll send it to you in the mail and add your name to the honour roll on our website as thanks for contributing to launching the new collection. Overseas customers, please manually add $15 AUD to your donation to cover international postage. 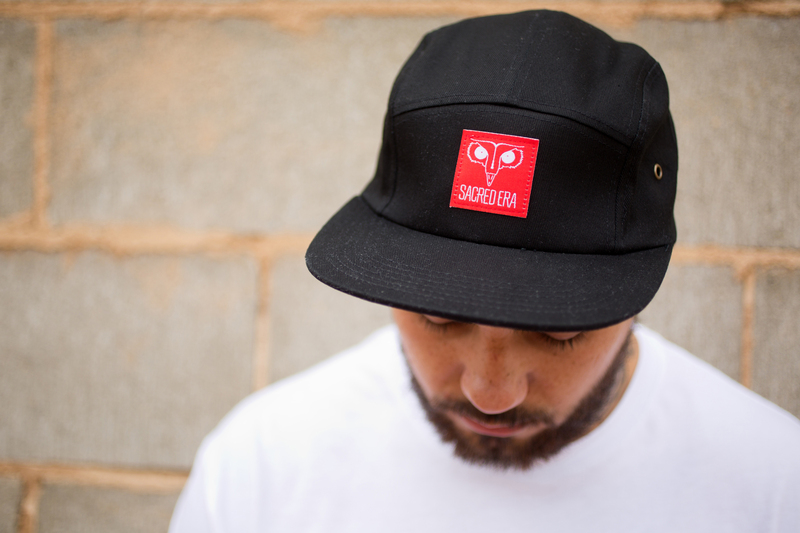 We'll send you a Sacred Era Logo 5 Panel Cap. Postage included anywhere in the world. Thanks for supporting Sacred Era. We'll send you a Sacred Era Logo Tee in the mail and add your name to the honour roll on our website as thanks for contributing to launching a new collection. Thanks for supporting Sacred Era. We'll send you the Sacred Era Hoodie in the mail and add your name to the honour roll on our website as thanks for contributing to launching the new collection. You will also receive a short story about how the brand name was chosen and the cultural significance behind the Owl used in the logo. Thanks for supporting Sacred Era. We'll send you a SURVIVAL Sacred Era tee in the mail and add your name to the honour roll on our website as thanks for contributing to launching the new collection. $5 will be put towards running a hip hop workshop for Indigenous youth in the Queanbeyan Canberra region. You will also receive the story behind the design highlighting the Survival of Indigenous Australian culture and people. This Black Edition SURVIVAL tee is an exclusive to this campaign and will come with a label that will feature a special 'THANKS' on the reverse side. Thanks for supporting Sacred Era. We'll send you the BLACK ANZACS Sacred Era tee in the mail and add your name to the honour roll on our website as thanks for contributing to launching the new collection. $5 will be donated to organisations who work with Indigenous veterans and their families. This tee is exclusively available through the crowfunding campaign and will not be made available elsewhere. You will also receive the relevant story of behind the design based on Aboriginal Gunner Percy Suey. Get all 3 tees, hoodie and cap from the collection! Save $50 : ) Includes shipping worldwide. Bundle will come with all relevant stories behind the designs. Postage in Australia is INCLUDED. Overseas customers, please manually add $25 AUD to your donation to cover international postage. 3-day hip hop workshop for up to 15-20 young people, with the outcome of a live performance. * Learn about Aboriginal culture. This piece was inspired by Aboriginal Gunner Percy Suey who served in WWII. Percy enlisted 20th August 1941 and was captured by the Japenese becoming a prisoner of war in 1942 spending 3 years in Changi working on the Burma Rail. At the end of the war he was released and returned to Sydney October 11th 1945. He was medically discharged and went back home to Moree. He went missing in the 70s and was never seen again. Postage is additional and will be worked out with you directly once we know your location.